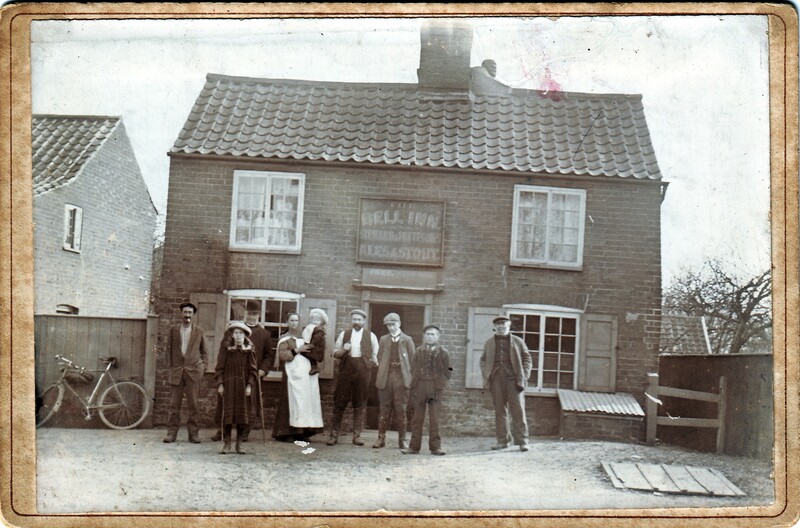 John Preston was the son of Fred & Sarah Honor Preston of The Bell at Hellington Corner on the main road from Norwich to Lowestoft. He was baptised in Bergh Apton church on 30th March 1890. 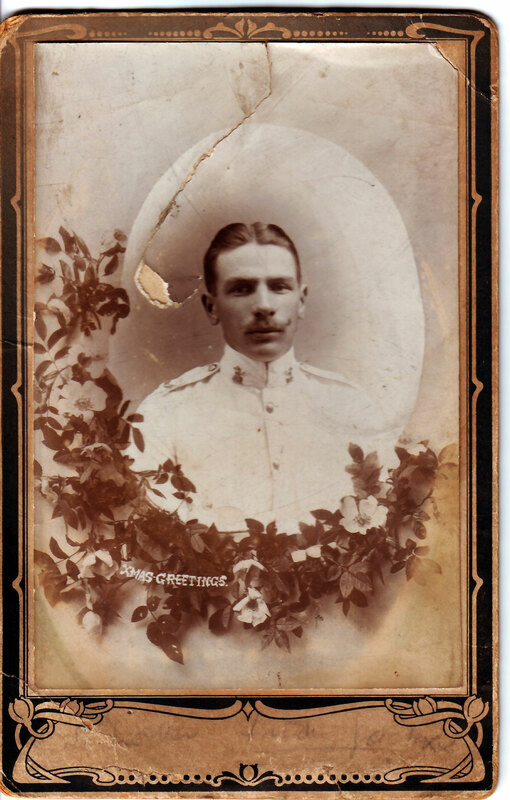 As 1914 drew to a close John Preston (then aged 24) sent this Christmas Greetings card to his family in Bergh Apton from Belgaum, 2nd Norfolk Battalion’s base in India. Of all Bergh Apton’s war dead John Preston is one of the most intriguing in that he does not appear in the Commonwealth War Graves Commission database of men who died. He was a professional soldier who was awarded the Distinguished Conduct Medal, (the highest decoration for bravery after the Victoria Cross) in 1915 for his actions at the Battle of Barjiseyah Wood to the south of Basra. In the 1911 Census John Preston is listed as a Private soldier, a Musician, serving in the 2nd Bn the Norfolk Regiment based in Belgaum, India, 500 km south of modern Mumbai. Army Musiscians’ duities in battle are usually as stretcher-bearers so it is reasonable to assume that his bravery award was related to that role. Following that battle his service record shows that he was saddled with long-term illness and hospitalisation and, eventually, his discharge from the Army in 1919 after which he continued service to the Crown in the Bombay Police with the rank of Sergeant. This Delhi studio portrait of John Preston with his wife Agatha was sent back to Bergh Apton in 1919. 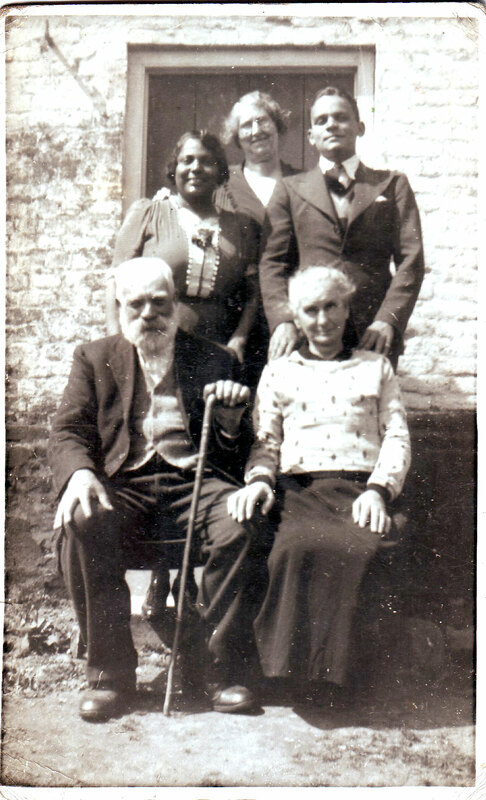 The absence of Norfolk Regiment collar-badges indicates that, by the time this photograph was taekn, he had left the Army. Though John Preston died well after the Armistice of November 1918 his name was added to our village war memorial on the grounds that his death was directly linked to his war service in Mesopotamia. 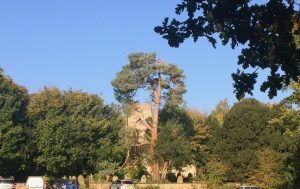 John Preston came to our attention when we found that a memorial service had been held for him in Bergh Apton’s parish church on 12th March 1920. Two years of searching, and a few strokes of luck, eventually tracked down his burial in Bombay’s Sewri cemetery following his death on 9th January 1920 from pneumonia while was serving with the Bombay City Police. 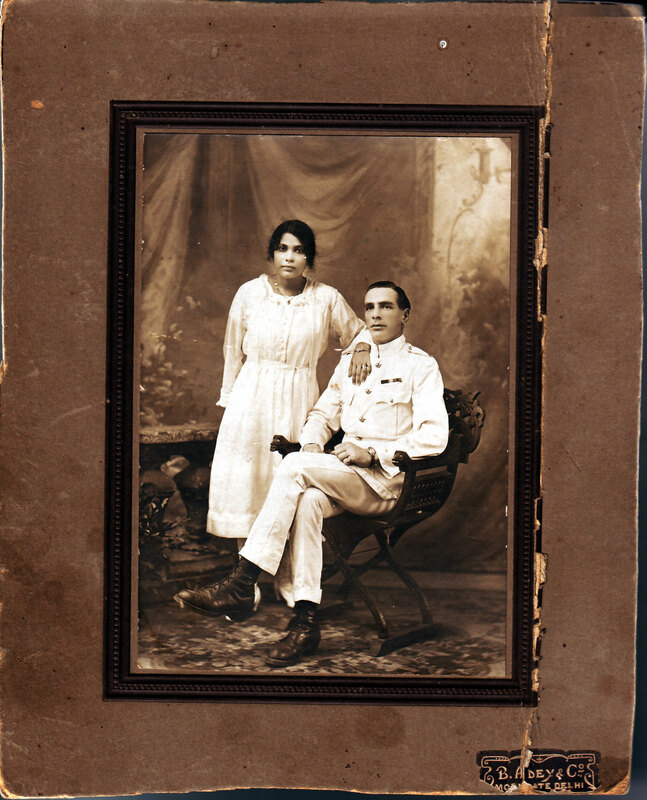 Following that lead we then found that Preston had married Agatha Gabriella da Rosario, who was of Portuguese descent, in Bombay on 19th May 1919 while still serving in the 2nd Norfolks. His widow and his son Leyton, who died a young man, were frequent visitors to John’s parents who, by that time, had moved to the old Star public house on Star Lane, off the road from Hellington to Rockland St Mary. 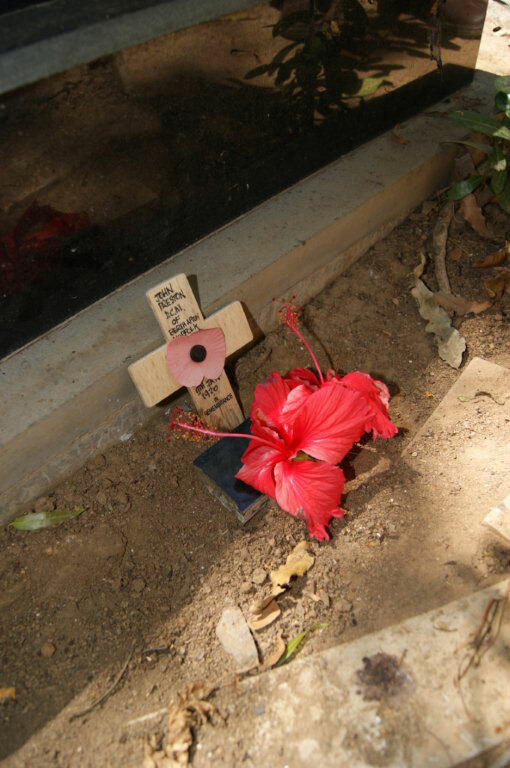 The Sewri Cemetery plot where John Preston was buried is now occupied by another grave but Chris Johnson, visting Bombay in 2014, placed this poppy cross – first laid in Preston’s memory in Bergh Apton’s churchyard on Remembrance Day 2013 – in the approximate location of Preston’s grave.